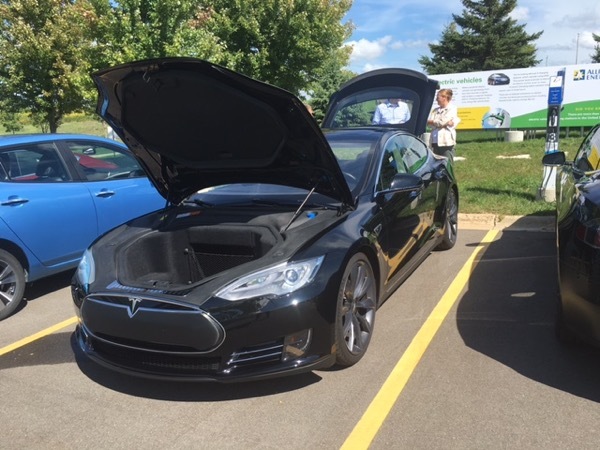 Alliant Energy is collaborating with Wisconsin Clean Cities and local dealerships to bring in new electric vehicles for a ride-and-drive event. Those attending will get the chance to test drive or ride in an electric vehicle. (Many people are surprised at the instant torque, quiet and smooth ride, and savings a gas-free engine provides.) The public is invited to test drive or ride in an electric vehicle We encourage supporters and interested local residents and businesses to learn about cost savings and environmental benefits of driving electric! Registered attendees report 81,700 electric miles driven.